The Saskatchewan Martial Arts Association has launched an official contest to name our new SMAA newsletter. The SMAA NEWSLETTER Naming Contest is open to all members of the SMAA. 1. Submit a name for the SMAA Newsletter by completing the form to the right by Friday April 28th at 5pm. 2. Participants can submit up to three ideas per person. 4. After the contest closes, the SMAA Board will choose its three favorite names submitted and create a Facebook poll to be shared with the public on Monday, May 6th. 5. The Facebook poll featuring the top three names chosen will be open to the general public for a vote through May 6th -10th, 2019. 6. The official winner and the newsletter name will be announced May 15th, 2019. 7. In the case of duplicate submissions, the winner will be chosen based on earliest date and time of submittal. Prizes to be announced shortly for 1st, 2nd and 3rd place. Is to promote all forms and styles of Martial Arts in Saskatchewan. 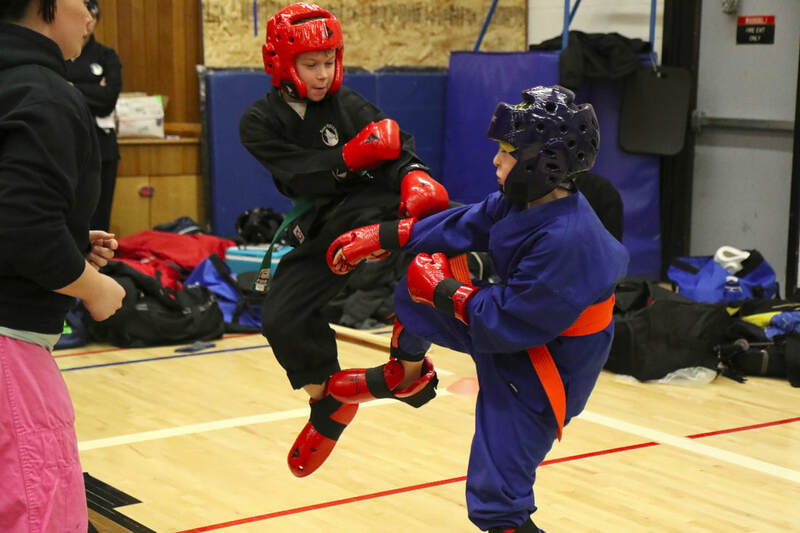 To promote and sanction active, open, competitive participation in the province and to help foster the strongest possible team in provincial, interprovincial and international Martial Arts competitions. Sponsor clinics and seminars for all aspects of the Martial Arts within the Association. To furnish the means for sport participation to those individuals who could not normally join in team competitions due to financial hardships, or where the sport is not presently available. To help foster a better working relationship among the Saskatchewan Martial Arts Clubs. To provide a standard set of Rules and Medical Requirements for the betterment and welfare of all participants. ​1. How can I challenge myself and my Martial Arts Club beyond the walls of our dojo? Join the SMAA and participate in our Open Martial Arts Tournaments, why not host one of your own? Who better to help you with Tournament Competition and Hosting than the SMAA? Don't forget the SMAA Provincial Tournament! These 5 reasons and more on request, brought to you by Stephen McLeod, Former President of the Saskatchewan Martial Arts Association! Competitions are a great way to continue to improve your practice. Whether you wish to travel within the province, nationally or internationally, the SMAA can help you get there. LEaRN MORE ABOUT MARTIAL ARTS IN SASKATCHEWAN!